The scorching temperature surpassed the previous record of 109 degrees set September 20, 1939, the National Weather Service reported. While the temperature at UCLA set an all-time record, the temperature in downtown Los Angeles hit 108 degrees and fell just short of its highest reading of 113 from September 2010. Still, the 108-degree reading crushed the July 6 daily record of 94, set in 1992. 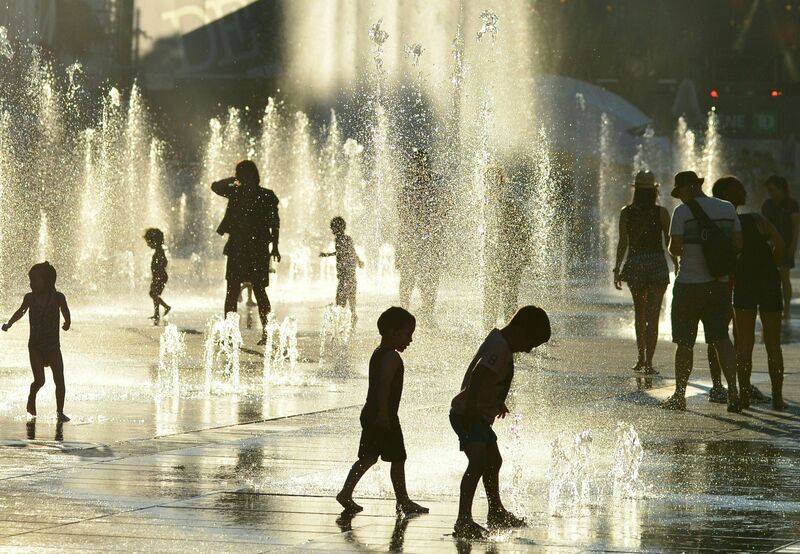 The city and the surrounding area is under an excessive heat warning through Saturday, where the Weather Service expects triple-digit heat ‘everywhere’ away from the coastline. 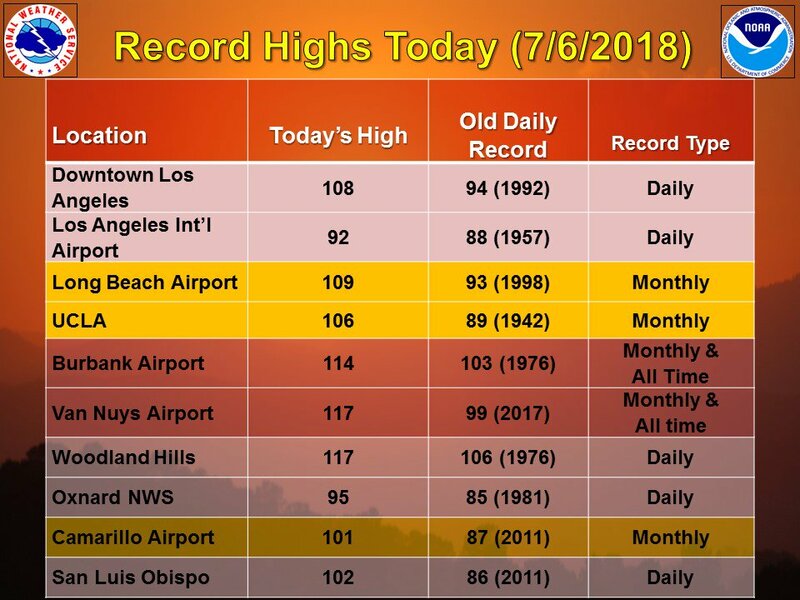 In addition to UCLA, other locations that set all-time record highs in Southern California include Hollywood Burbank Airport, which hit 114 degrees, Van Nuys Airport, which hit 117 degrees, Ramona, which hit 117 degrees, Santa Ana, which hit 114 degrees and Riverside, which hit 118 degrees. According to the National Weather Service across the pond, the heatwave – ever so cooly dubbed ‘The Heat’ and presumably starring in a 60s cop show coming to a small screen near you soon – will be on in the Southwest and especially southern California today. Their earlier predictions were correct. California is experiencing unusually high temperatures and will continue to until July 20, at least. But they’re not alone. This week will see ‘increased chances for above-normal temperatures across the entire lower-48 states’. The only exception will be in some portions of the Southwest which are ‘favoured to see above-normal rains from the North American Monsoon’. It all sounds like fun and games at the beach, but if you’re a member of the global UNILAD readership who is in California at this very moment, the National Weather Service has published a reminder to stay safe in the above-average heatwave. The excessively hot conditions combined with very low humidity and gusty winds would allow any brush fires ignited to spread rapidly. In fact, 66 wildfires are currently raging across Western America, reports ABC. 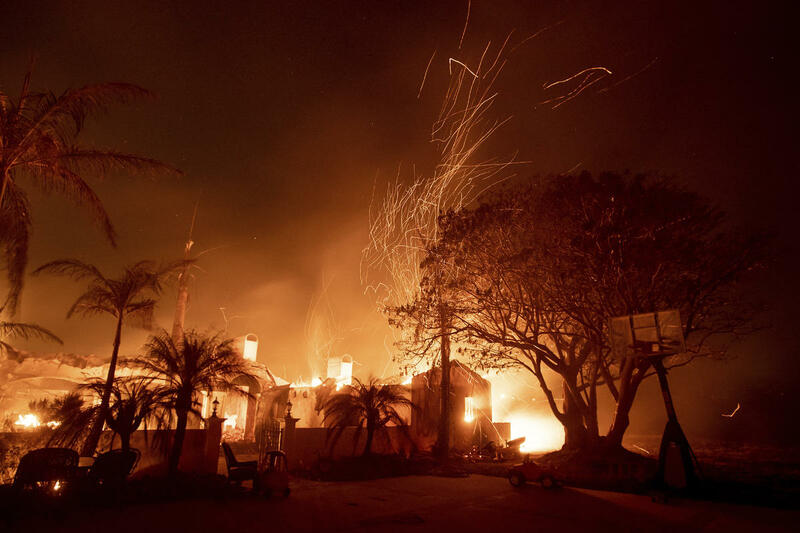 Most of Southwest California is under a red flag warning, the alert for dangerous fire weather, as thousands of brave firefighters battle the flames. If looking outside your window or stepping out of your door into the blistering heat isn’t appealing to you, here’s some more mad weather.